Broiltech is producer of RTD and Thermocouple Base all type Temperature Sensor as per industrial application, more detail please contact us. 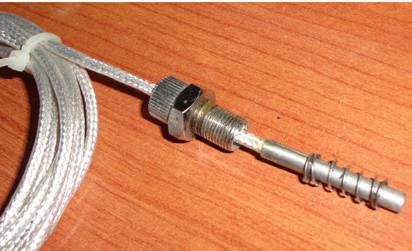 We have been engaged in the manufacture and supply of Measuring Thermocouple Sensor. 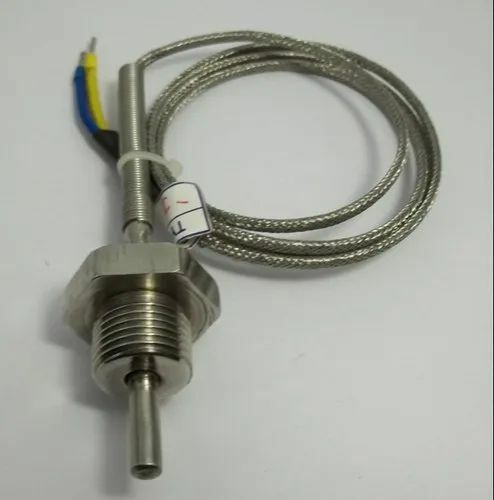 The offered thermocouple sensor for measuring high temperature is a temperature measuring device, which consists of two dissimilar conductors, touching each other. Our offered thermocouple sensor is a multifunctional device, which is available in simplex and duplex variants. The offered sensor is made from inconel, porcelain, ceramic and alumina material. We are humbled to declare ourselves as the manufacturer and supplier of Temperature Sensor. The offered temperature sensor is a low voltage device, used to measure temperature. Our offered temperature sensor calculates the voltage output, which is linearly proportional to the celsius temperature. The offered temperature sensor employs the scale factor, for temperature derivations from the voltage output. We are one of the well known manufacturers and suppliers of "CE" CERTIFIED RTD Temperature Sensor. The offered resistance thermometer is based on the physical property of metals to resist the electrical changes, with temperature change. Our offered resistance temperature detectors are used to measure the temperature by the correlation of metal resistance and temperature. The offered temperature sensor is a weather proof instrument.